In a change of stance, Texas Senator who challenged Trump for the Republican nomination endorses him for the presidency. 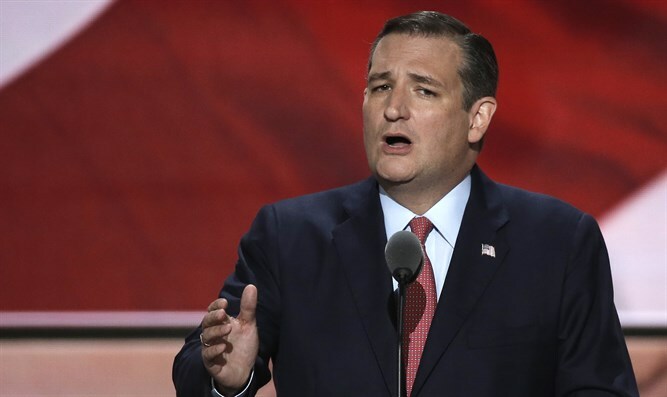 Texas Senator Ted Cruz on Friday endorsed Republican nominee Donald Trump for the presidency, CNN reported. "After many months of careful consideration, of prayer and searching my own conscience, I have decided that on Election Day, I will vote for the Republican nominee, Donald Trump," Cruz wrote in a Facebook post. "A year ago, I pledged to endorse the Republican nominee, and I am honoring that commitment. And if you don't want to see a Hillary Clinton presidency, I encourage you to vote for him," he added. Cruz’s endorsement of Trump marks a change in policy for the Texas Senator, who challenged Trump for the Republican nomination before pulling out of the race. He refused to endorse Trump at the Republican National Convention in July, congratulating him on the nomination but urging voters to vote their conscience. Cruz later refused to bow to Trump's victory, claiming he's not a "servile puppy." The endorsement, which comes three days before Trump's first debate with Clinton, comes as the Trump and Cruz camps have moved closer in recent weeks, according to CNN. Trump's vice presidential nominee Mike Pence played a key role in bringing Cruz into the fold. Pence and Cruz traded multiple messages, then spoke at length once on the phone and again in person, when Pence visited Capitol Hill a few weeks ago, a source close to Pence said. Trump has hired key Cruz allies such as Kellyanne Conway as his campaign manager, and Jason Miller as a spokesman, according to the report. And on Wednesday, Trump's campaign expressed support for a Cruz-backed, Internet-related proposal in government funding talks in the Senate. Friday, Trump released a new list of conservative judges likely to appeal to the former Supreme Court clerk -- including perhaps Cruz's closest friend in Congress, Utah Sen. Mike Lee.